Yesterday we saw how BlackBerry 10 might come in a full touch L-series and a QWERTY keyboard equipped N-Series. 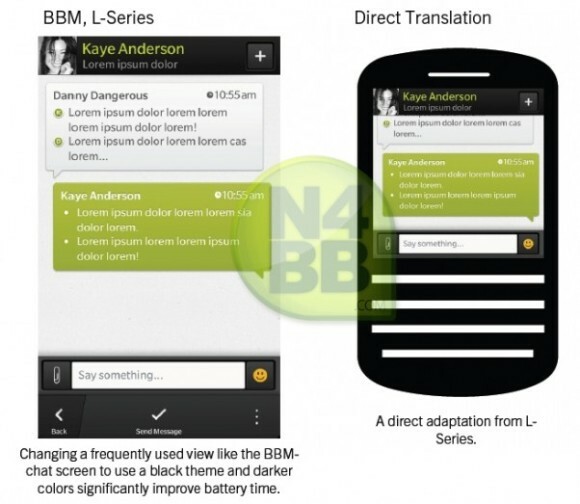 Today thanks to N4BB we have a sneak peek of how the BlackBerry Messenger on the BlackBerry 10 OS might look like. The layout seems same on both the L-series and the N-series and BBM for BlackBerry 10 will be taking full advantage of the OLED display and leaked slides also suggest that the new BBM will have option to change themes. 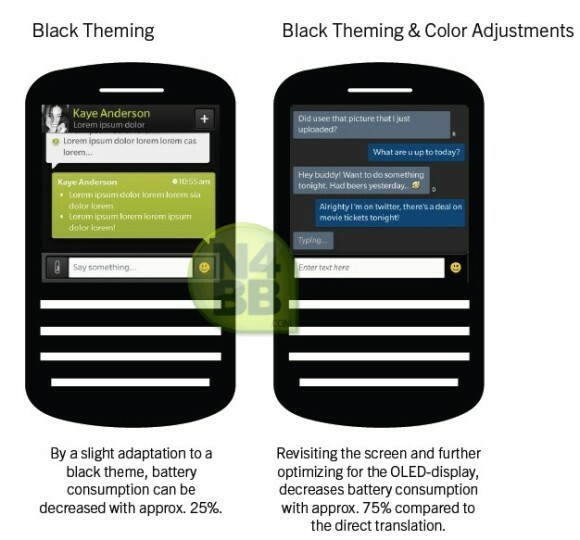 The new theme options in the new BBM will include a black theme, which the slide says, will improve battery life by 25% and further theme customization will lead to up to 75% improvement in battery. Let’s hope there are some more new features than just a theme change option. What do you think of the new UI and what all do you think should be added to BBM for BB 10 OS?